Want to secure a campsite right next to your #BootsCrew, but can’t arrive together? Want to get the best possible campsite location, but can’t arrive early enough to get first dibs? Our brand new RESERVED CAMPING option may just be your go-to this year! Click on the ‘Tickets’ tab at the top of the bootsandhearts.com home page. 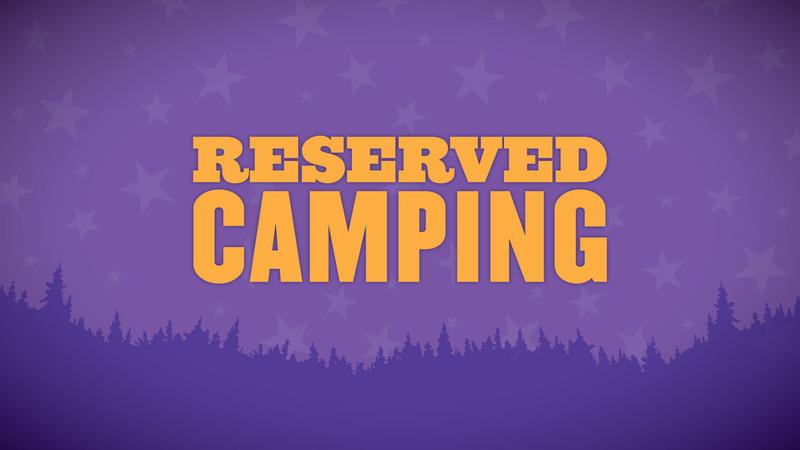 There you’ll find several different options for RESERVED CAMPING which are all coloured purple and yellow. Choose between Reserved Tent Camping, Reserved 30AMP RV or Reserved 50AMP RV and click ‘Buy Now’! From there, a new tab will open onto our Eventbrite campsite selection page. Find the type of camping you want on the list, then change the quantity to the amount of sites you wish to purchase (Be sure you’re choosing the ‘Reserved’ option before clicking ‘Get Seats’ at the bottom of the page). You’ll then be redirected to the checkout page where you can review your order and fill out your payment information. Click ‘Pay Now’ to complete your order. Once completed, you should receive a confirmation email from Eventbrite within 24 hours. Your camping pass will be mailed to you 2-3 weeks prior to the festival so don’t panic if you don’t see it right away. Finally, it’s time to sit back and relax knowing you’ve got the perfect campsite reserved for you at #Boots2019. No more worrying about getting there early to secure the best site – you just did! * Don’t forget, your campsite is priced per site NOT per person. This pass does not include admission into the festival – you must have a full event pass to claim this site upon arrival. Click HERE to purchase your Reserved Camping spot and HERE to purchase your #Boots2019 tickets.